Qualification:Ist class diploma in Electrical Engineering of atleast three years full time duration or atleast two years full time duration in case of lateral admission in Diploma course with experience of two years in the relevant area/field. Experience Requirements:Experience/ knowledge in operation and maintenance of electrical installations and electrical distribution system. How To Apply: Application duly signed and 'Synopsis Form' along with recent passport size photograph, attested copies of all testimonials/certificates/marks sheets in support of qualification, experience, date of birth etc. alongwith application fee (non-refundable) of Rs. 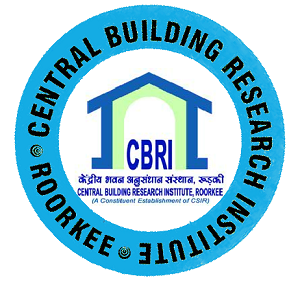 100/- in the form of crossed Demand Draft drawn on any nationalized bank and valid for at least 3 months in favour of DIRECTOR, CBRI payable at Roorkee should be sent in a sealed cover superscribed Äpplication for the post of TECHNICAL ASSISTANT (POST No.__) to the Administrative Officer, Central Building Research Institute, Roorkee-247667 so as to reach on or before 25.11.2014. The following details must be filled up on the back of the D/D (i) Candidate's name, (ii) Candidate's Category and (iii) Post Code Applied for. The candidates belonging to SC/ST/PH/Women/CSIR Employees/Abroad Candidates category are exempted from submission of application fee. General Information: 1. The applicant must be a citizen of India. 2. All applicants must fulfill the essential requirements of the post and conditions stipulated in the advertisement as on the last date of receipt of the applications. They are advised to satisfy themselves before applying that they possess at least the essential qualifications laid down for various post as on the last date of receipt of the applications. No enquiry asking for advice as to eligibility will be entertained. The prescribed essential qualifications are the minimum and the mere possession of the same does not entitle candidates to be called for interview. The duly constituted Screening Committee will adopt its own criteria for short-listing the candidates. Selection will be made strictly according to Merit. The candidate should therefore, mention in the application all the qualifications and experiences in the relevant area over and above the minimum prescribed qualification, supported with document. 3. The application should be accompanied by self attested copies of the relevant educational qualification, experience etc. The prescribed qualifications should have been obtained through recognized Universities/Institutions, etc. Incomplete applications/applications not accompanied with the required certificates/documents and applications received after closing date of the advertisement will be rejected summarily. 4. If any document/certificate furnished is in a language other than Hindi or English, a transcript of the same duly attested by a Gazetted officer or Notary is to be submitted. 5. The date for determining the upper age limit, qualification and or experience shall be the closing date prescribed for receipt of applications.